U.S. 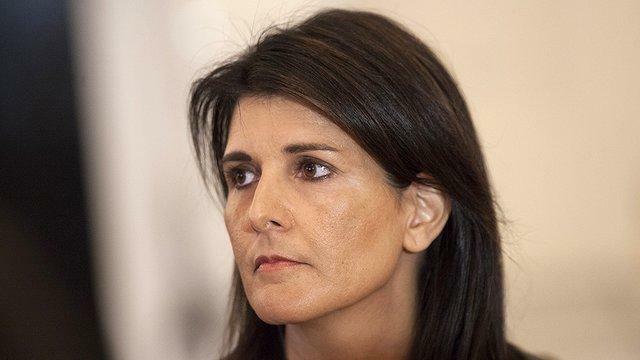 Ambassador to the United Nations Nikki Haley has tendered her resignation and will be out of her top diplomatic post at the end of the year. President Donald Trump has accepted Haley’s resignation. Trump and Haley discussed her resignation during a White House visit last week. The President praised Haley and said she has done an “incredible job” since she was confirmed by the Senate in January 2018. He also acknowledged her contributions to the progress the Trump administration has made with North Korea. Trump also shared that Haley told him about her desire to leave her post and take a break about six months ago. Even then she has given the end of the year as her “deadline” for quitting her UN post. The former South Carolina governor also deflected speculations that she was considering challenging Trump for the Republican presidential nomination in 2020. Instead, she stressed that she’s campaigning for him in his reelection bid. Haley has been instrumental in implementing Trump's "America First" approach to foreign policy on the world stage, including withdrawing the U.S. from the U.N. Human Rights Council. Haley discussed in an op-ed she wrote for The Washington Post last month about the policy disagreements with the President but also acknowledged how proud she was to have worked with him. thugcoin… That`s good bitcoin was born of the darkweb as an untraceable way to pay for the most despicable & wicked crimes imaginable. Researchable & true… "Hear me now, believe me later." Ala Hans & Frans of old SNL fame. Sounds like another Deep Stater abandoning Trump because he is putting AMERICA 1st. Haley is an abrasive, neocon witch. I guess that she needed a break from the stress. Zidane (Ralph Retort cohost) thinks Nikki was the "anonymous insider" who did the NYT editorial. Wouldn't be surprised she's not to be trusted, pretty sure South Carolina is just glad she's not governor anymore. Her name isn't even Haley for that matter lol. All in all, not to be trusted, glad she's off the team.